With so many chess openings and variations, it seems as if players are doomed to endless memorization cycles if they wish to make their way to winning. Memorization is important, but without understanding the logic behind opening moves, one also makes sure to become an easy target for opponent surprises. 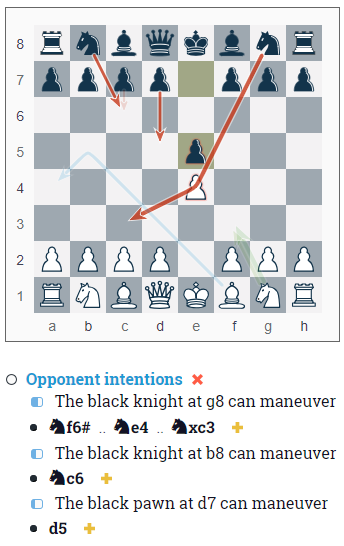 DecodeChess can help understand the concepts that govern (almost) each chess opening move, making you a better, smarter player! Over 1,000 Chess opening variations! Chess openings are a grand project of humanity, stretching back in history and filled with theory, experience, and most importantly, passion and love for the game of chess. There are over a 1,000 chess openings variations, but much less than that are used by the majority of chess players worldwide. As a chess player, you probably had the following two questions pass in your mind: Which opening/s should I stick to; How many chess openings should I memorize? The answers to these questions depend on your personality, level of devotion to the game, and the number of people you speak with. One thing is clear – memorization skills are needed in order to improve your grasp of chess openings. However, the more you understand the logic and ideas that justify each move, the better you’ll become at analyzing potential opponent threats and conspiracies, and the better you’ll be at responding to them with the next best move. Therefore, chess openings explained are always better than chess openings memorized. 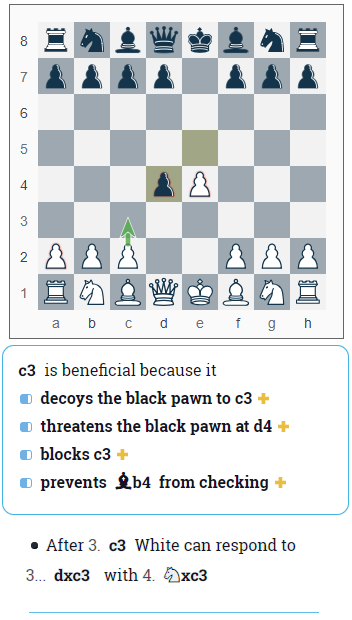 DecodeChess is here to help you understand the why behind your chess opening moves, and we do this by explaining the benefits, weaknesses, and overall position concepts with just one click on the Decode button. Let’s dive into some examples, to show you exactly how this can be done (spoiler – so simple!). Here’s an explanation for White’s next best move in the King’s Pawn Opening, after having played 1.e4 e5. Each explanation line has an importance bar next to it, and each explanation can be expanded (+) to follow the variation and to get further ideas. Below is the analysis for White’s next best move after 1.e4 e5 2. d4 exd4 in the Danish Gambit opening. Mastering your openings depends a great deal on memorization, but without understanding the moves involved, you’ll be prone to opponent surprises. 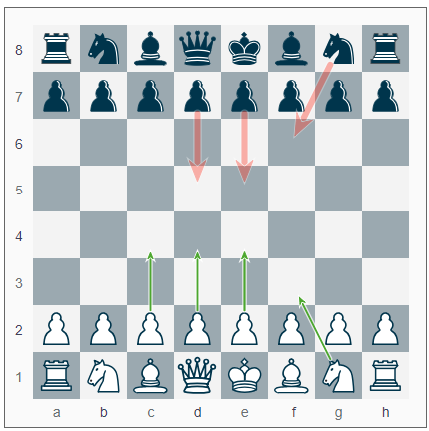 DecodeChess can help you understand the WHY behind your openings, making you a smarter player. Play against the computer, with our human-like opponent. 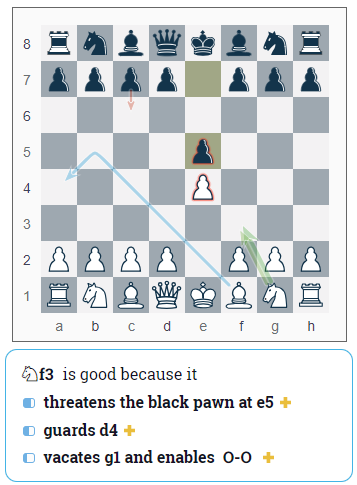 We hope you enjoyed this chess analysis spotlight, make sure to visit our blog for more instructive content. 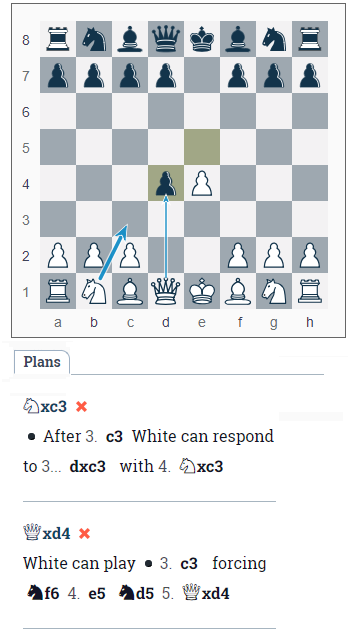 DecodeChess is a next-generation chess analysis tool that explains the reasoning and concepts behind the suggested moves of a chess engine (Stockfish), promoting chess understanding for players with an ELO rating of up to 2000.